Compatible with systems running Windows 7, Vista, XP, and Mac OS, this 2.5" SSD can be mounted in your notebook's 7mm drive bay. Using the included 7mm to 9.5mm adapter, this drive may be mounted in your notebook's 9.5mm drive bay. Using a separately sold 3.5" mounting bracket, this SSD may be used in your desktop's 3.5" drive bay. The SSD connects via the SATA 6 Gb/s interface. The SATA interface is also backwards compatible with SATA 3 Gb/s. LSI SandForce controllers use DuraWrite technology. 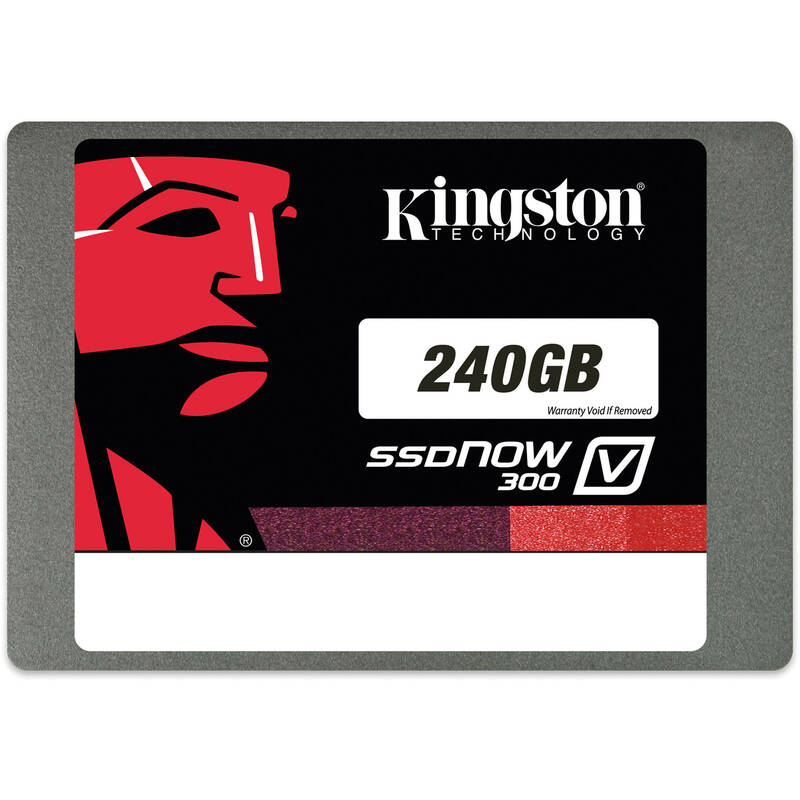 The DuraWrite architecture was designed to extend the life of the NAND used within Kingston SSDs. It does this by using unique algorithms that reduce the amount of data written to the SSDs and Flash memory cells, thus extending NAND and SSD life. A beneficial byproduct of this reduction is a resulting increase in performance when compressible data is used. 240GB 2.5" SSDNow V300 7mm Internal Solid State Drive is rated 5.0 out of 5 by 2. Rated 5 out of 5 by Anonymous from Perfect Product and Handling Awesome! Will this work on a Macbook MacBook A1181 2 GHz Core 2 Duo? Yes... This is the Humber sized notebook type drive, it will work in any laptop, except MacBook AIR, and the new MacBook Pro. If you have a MacBook with an optical drive (dvd's etc.) this is exactly what you need.